Nothing is more fall than pumpkin, right? I know it isn't officially fall yet, but the trees are starting to change color, there is a hint of chill in the air, and Starbucks is slingin' Pumpkin Spice Lattes like there is no tomorrow. 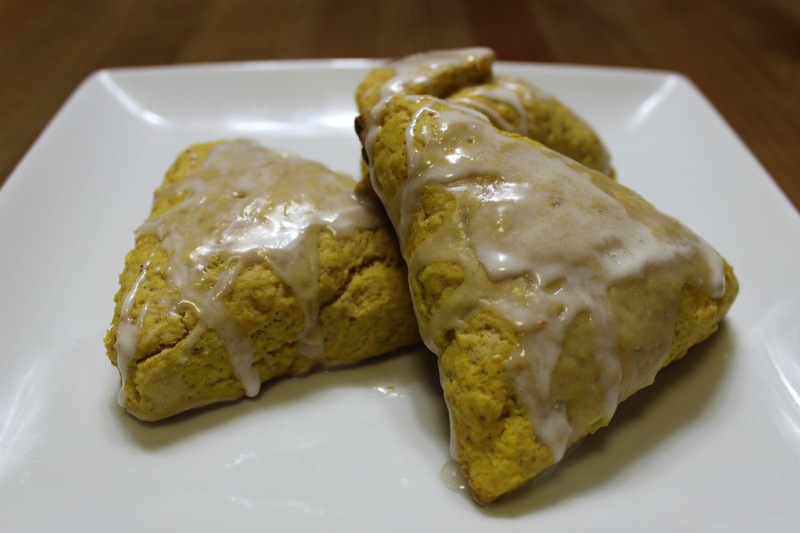 Cue this recipe for Pumpkin Spice Scones. Preheat oven to 425°F. Lightly grease a cookie sheet or line it with parchment paper. 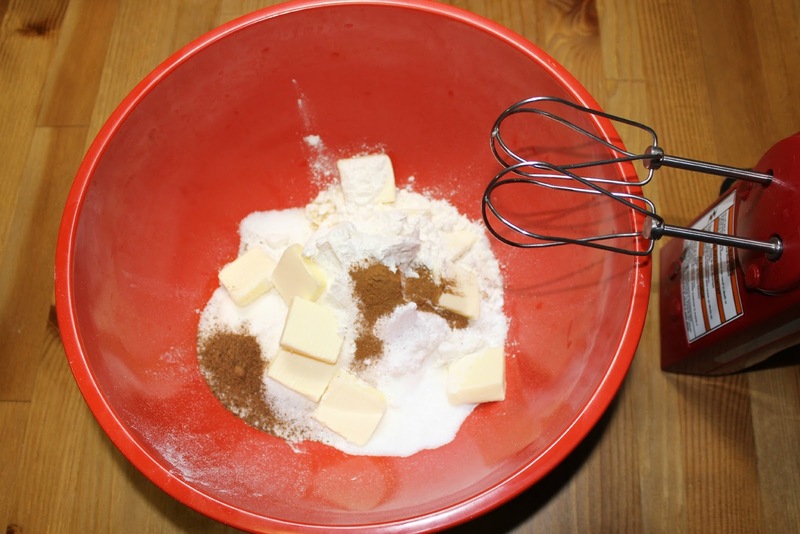 Combine the flour, sugar, baking powder, salt, cinnamon, and pumpkin pie spice in a large mixing bowl. Add the cold butter to the dry ingredients and mix until it is crumbly and there are no longer any chunks of butter. I tried to use my mixer which didn't work very well. If you have a food processor, that will work the best. I ended up using my hands to mix the ingredients (after washing them well, of course). 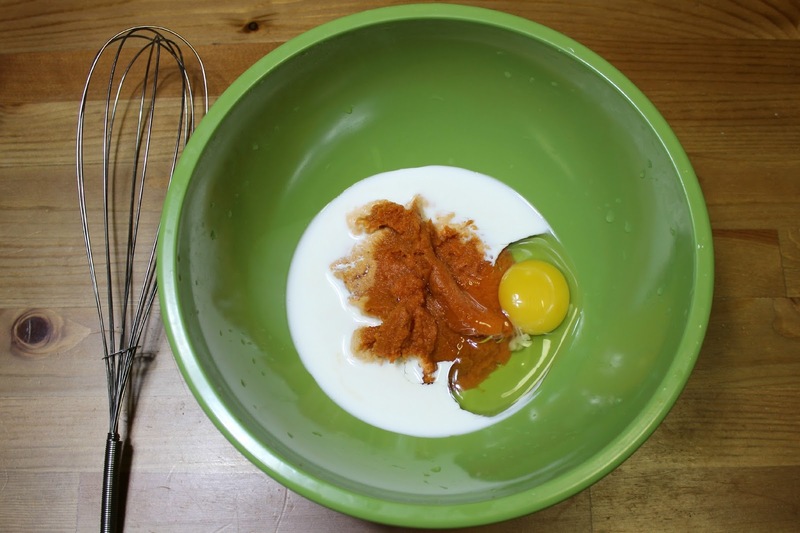 In a separate mixing bowl, whisk the pumpkin, half-and-half, and egg together. Slowly fold the wet ingredients into the dry ingredients. 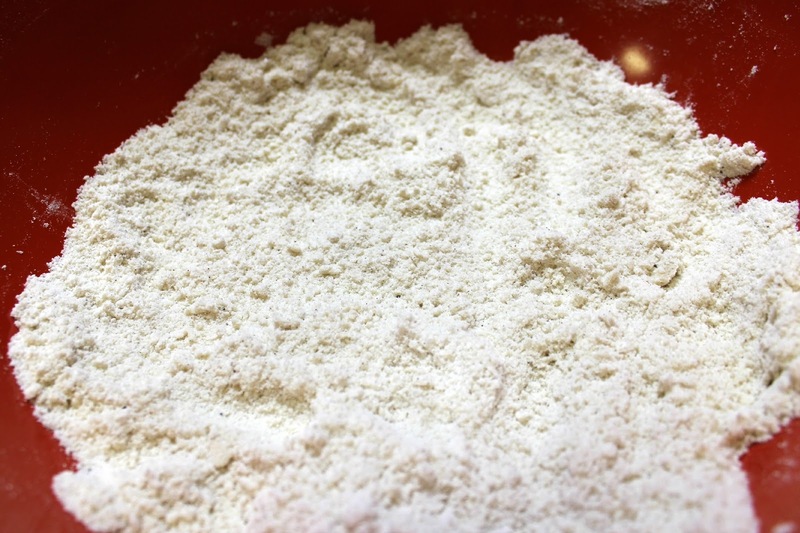 Once all of the dry ingredients are mixed well, form the dough into a ball. 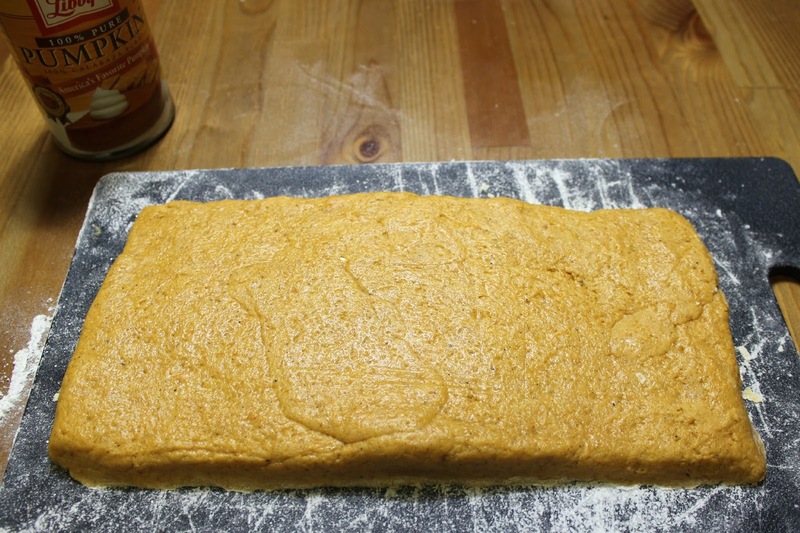 Pat out the dough onto a floured surface and form it into a 1" x 9" rectangle. 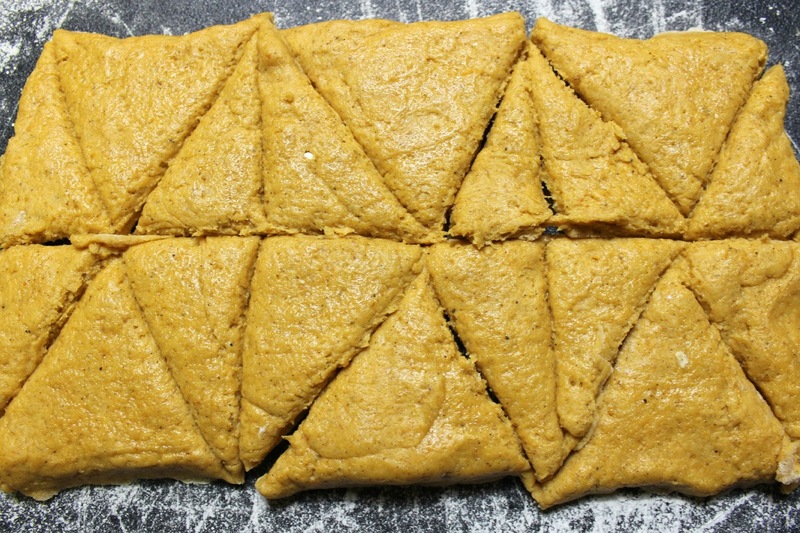 I actually used the pumpkin can to help roll the dough out. Hey, whatever works...right? Using a knife (or a pizza cutter in my case), slice the dough into three equal portions. Then cut an "X" into each portion. For smaller scones, slice again across through the middle like I did below. Separate the scone pieces and place them on your prepared cookie sheet. Mix the powdered sugar and milk together until smooth. 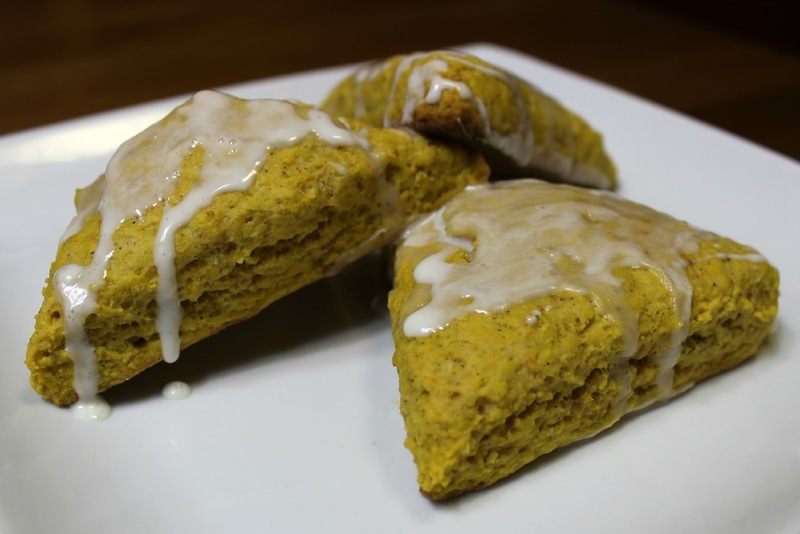 Lightly drizzle or brush the glaze on top of each cooled scone. You can add the spiced glaze on top of the sugar glaze once it has dried. I decided not to add the spice glaze to mine this time, but it is all personal preference. What is your favorite fall treat?